The Adonidia is an easy care palm, it's self-cleaning, meaning the spent fronds just fall off by themselves, a big low-maintenance plus. Adonidias are pretty much pest-free. It looks like a miniature CHRISTMAS PALM, with its green crown shaft, gray trunk and long full fronds. Single trunk specimens work almost anywhere since they won't grow too large or too fast to overwhelm most locations. Christmas palms make good focal points in small tropical gardens and, when taller and more mature, they can become an elegant statement palm. Christmas palms work best in Zone 10, where in a normal winter an adonidia will do very well. To be on the safe side, plant in a location that isn't subject to cold winds or frost. Growing slowly to an average height of 12 to 15 feet, this palm is moderately salt-tolerant it usually won't be affected by salt spray. Plant Care: Performing best in full sun, a Christmas palm tree can tolerate partial shade, but too much shade causes the trunks to grow skinny and the fronds thin. Add top soil or organic peat moss to the hole when you plant. 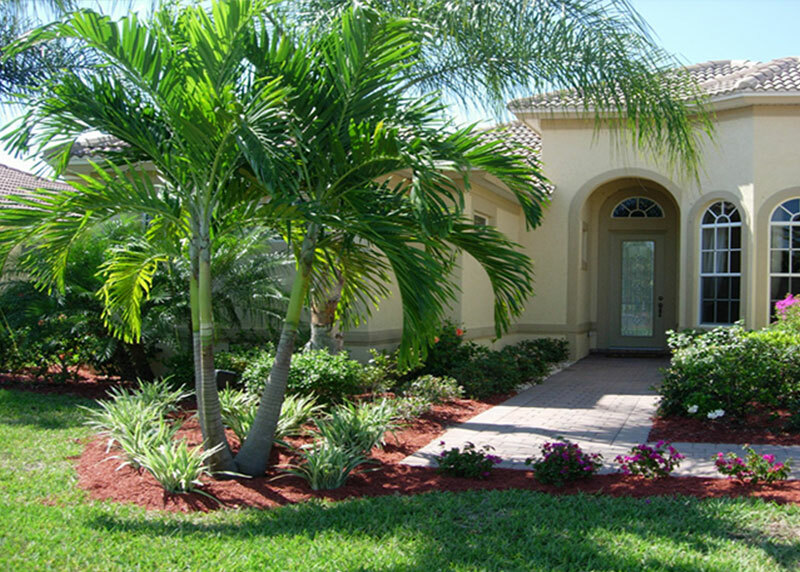 Fertilize with granular palm fertilizer during spring, summer and autumn at least one application per season. Let the fronds drop off naturally as they brown. If you can't stand the look of a browned frond, you can cut it off, but leaving them on to fall off on their own benefits the palm as dying fronds send nutrients to new ones forming. Plant Spacing: Single trunk adonidias work in tighter areas planted 5 to 6 feet away from the house to give the fronds room to grow and prevent them from surface scraping damage. Multi-trunk palms need adequate room to spread out the trunks will naturally bow causing the fronds to extend a bit further. Position the trunks so they won't be in the way once they gain some stature. These palms are also easy to grow in containers as well.